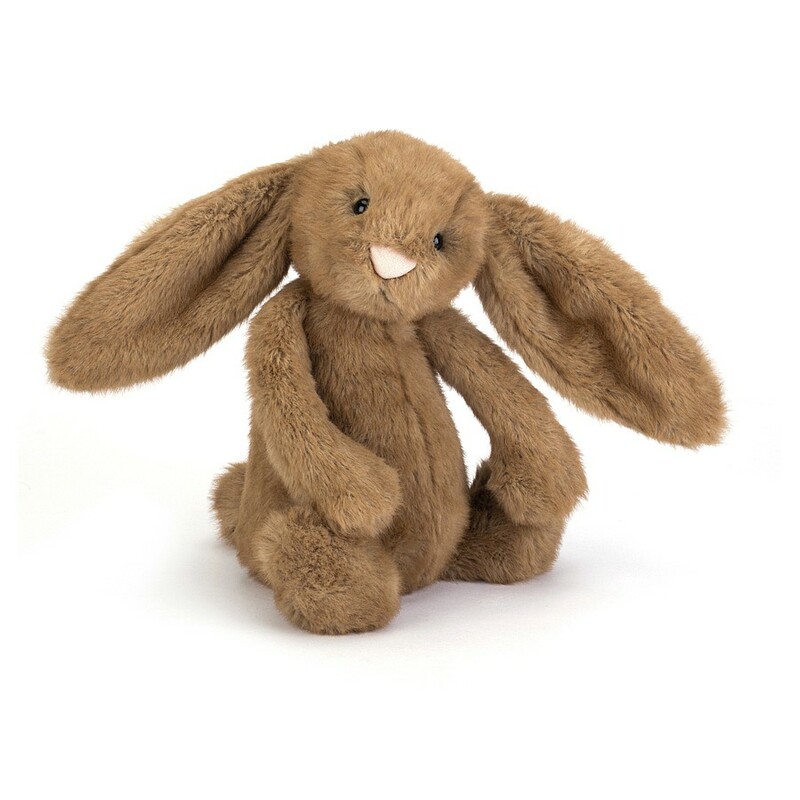 Full of fun and ready to frolic, it's Bashful Maple Bunny! This scrummy scamp has such soft fur in caramel and spicy ginger. With waggly ears and a pink bobble nose, this is a syrupy silly bunny who's so much fun to snuggle.